Your Munnar holiday package starts with the drive to Munnar after the pickup from Cochin. Usually the ride after travelling is hectic but your ride to Munnar will take away all the travel fatigue you have. Munnar is 135km away from the Cochin and distance can be easily completed in 4.5 hours. But the way to Munnar is filled with so many fascinating places that you should definitely increase your travel time. On your way you will find plenty of exquisite places like Aathirappally Waterfalls, Karadipara View point, Vallara & Cheeyapara falls. You can spend the sunset at Pothanmedu View Point. Stay overnight at hotel in Munnar. After the healthy and delicious breakfast, gear up yourself to explore several places and valleys all around Munnar. With our Munnar holiday packages, we will take you to Attukal Waterfalls and Anamudi which are the perfect places to give you tempting and captivating view along with an opportunity of trekking. Munnar also has other places which are worth visiting like Lockhart Gap, Eravikulam National Park, Mattupetty Dam, Kundala Lake, Blossom Park, Rose Garden, Top Station, Echo Point, Marayoor Dolmens, Lakkom Waterfalls, Tata Tea Museum and Mattupetty Indo-Swiss Farm and Salim Ali Bird Sanctuary. Enjoy the pleasant overnight stay at Munnar. Early in the morning, you will check out from hotel and after that you will head back towards Cochin. The city of Cochin has plenty of places that are worth visiting. If you want to go around beaches then you can go to Cherai & Vypeen Beach or Andhakaranazhi Beach. If you do not have time for beaches, then our Munnar tour packages from Cochin also helps you to visit places like Mattancherry Palace, Willingdon Island, Chinese fishing nets, Indo-Portugese Museum, Hill palace, Santa Cruz Basilica, Bolgatty Palace, Managalavanam Bird Sanctuary, Fort Kochi, Chinese Fishing Nets and Marine Drive. After your excursion to the city of Cochin, our representative will drop you at the airport or railway station with plenty of memories to cherish for. Munnar is simply greenery, valleys, mountains, tea plantations, waterfalls and trekking. What could be more perfect than this to spend a lively and memorable weekend. Our two nights and three-day Munnar tour packages are sure to give you a weekend trip of your dreams. 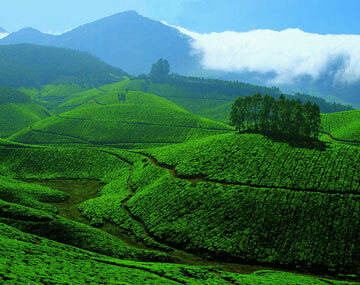 The state of Kerala is known for its winsome beauty and the beauty of Munnar is the heart of state. Our Munnar tour package from Cochin first of all takes you to the scenic road drive to Munnar with plenty of waterfalls on the way. You get to visit the valleys and small peaks in the Munnar along with plenty of sightseeing. A Munnar adventure tour packages keep your vacation alive with the thrilling experience of trekking, elephant rides and much more.